Rex Ingram was once a famous director from the silent film era and today is virtually unknown. His name was eclipsed in fame by another Rex Ingram, the actor and some of his films eclipsed in fame by remakes. According to legend, Rex Ingram, whose real name was Rex Hitchcock, once suggested to a young Alfred Hitchcock that a name change was crucial for future success. Ingram's legacy, or lack thereof, is a complicated matter author Ruth Barton tackles in this new biography. Barton makes the case that Ingram was a talented director with a unique vision but whose career was often sidetracked by his independence, rebelliousness, perfectionism and temper. Rex Ingram was famous Hollywood figure in his day. He was a visionary whose imagination and artistic skill helped sculpt an industry in its early years. He was known for his trademark of open and unexpected endings. Ingram's filmography includes The Four Horsemen of the Apocalypse (1921), The Prisoner of Zenda (1922), Scaramouche (1923), The Arab (1924), Mare Nostrum (1926) and The Garden of Allah (1927). Most of his films were re-made in his lifetime. Ingram helped launch the careers of legendary actors Rudolph Valentino and Ramon Novarro (note: it's stressed in the book that he didn't discover Valentino). The actress Alice Terry, who went on to become his second wife, was his muse, his leading lady and his travel companion. 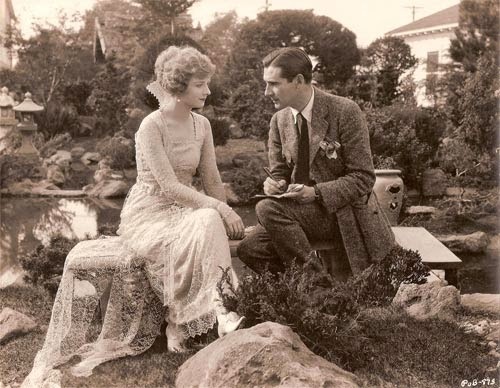 She was the most important person in his career and even co-directed Ingram's final film Love in Morocco (1933). Over the length of his career in film, Ingram bounced from studio to studio. Some of these include Biograph Studios, Vitagraph, Fox, Universal, Paralta Studios, MGM and more. He butted heads with movie moguls including Louis B. Mayer. He worked with D.W. Griffith, Carl Laemmle, Erich von Stroheim, Thomas Edison and was friends with F. Scott Fitzgerald. I was particularly touched by an anecdote about how Ingram showed kindness to a yet unknown Merle Oberon. She was being neglected by the industry because of her ethnicity. Ingram thought her exotic look beautiful and hired her as an extra in one of his films. Ingram was born in Ireland but once he left he never came back. Even though he made his home in the US, he fell in love with North Africa and the Middle East and converted to Islam. Ingram also loved the French Rivieria and made films at Victorine Studios. His distaste for Western culture grew over time. After retiring from film, Ingram concentrated on his passions for sculpting, writing and traveling. Barton tries to rescue Rex Ingram from complete obscurity by piecing together his life story and sharing it with readers. Her book is not the first on Rex Ingram but is the only one in print and readily available. Barton also had access to Ingram's memoirs which gave her a lot of insight into his life and career. I had difficulties both reading this book and writing the review. I didn't know much about Rex Ingram and I had only seen a couple of his films. Not knowing about a figure of film history has never been a barrier to prevent me from reading and enjoying a biography. However, in this case I felt that if I had more familiarity with Ingram's work I would have benefited from when reading the text. It's a double-edge sword because more familiarity with Rex Ingram will allow for his films to become more readily available to the public. All fingers point to Ingram's story being interesting, especially since he was such a rebel, but it's really not. Ingram wanted to make art and film was just a medium for him. Had he real passion for film and continued to work in the field his story would have been a lot more interesting. 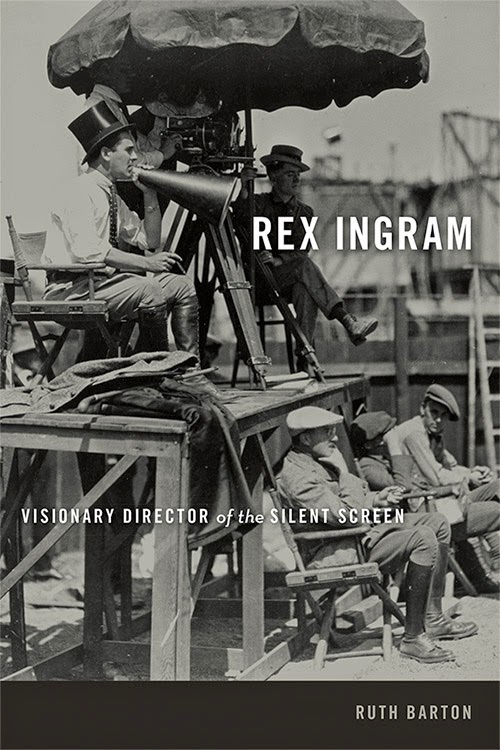 I recommend Rex Ingram: Visionary Director of the Silent Screen to serious film students and silent film buffs only. If you really want to dig deep and learn about early film history, this is a good pick. Otherwise, you may want to skip it. Overview: A difficult read but worth the effort if your interest in the silent film era is strong. Thank you to the University Press of Kentucky for sending me a copy of this book to review. Nice review! It certainly sparked my interested in Rex Ingram. I probably won't go out and read the book just yet, but I will try to watch some of his films. Of the ones you've seen, which do you recommend?